Gámbita is at Santander Department. 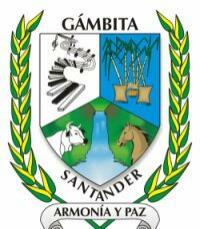 Flag and Coat of Arms at <www.gambita-santander.gov.co>. On its official site a different flag can be seen. Here is also a photo with visible flag.